Zion, Bryce, Canyonlands, Arches, Natural Bridges, Dinosaur, Capitol Reef, Grand Staircase... in a state brimming with national parks, it's easy to overlook another national treasure. Utah locals call it 'THE SWELL' a three thousand-foot fold of sandstone and shale on the edge of the Colorado Plateau. San Rafael Swell mountain biking tours take you into a place where it's hidden canyons provided sanctuary to old west outlaw Butch Cassidy. Biking into the San Rafael Swell's red-wall canyons are your sanctuary from the everyday grind. Mountain biking in the San Rafael Swell will take you back in time past abandoned mining camps and turn of the century ranches. Stop to explore cowboy camps, prehistoric Indian rock art, we might even see a few dinosaur prints. Your ride ends at the Wedge Overlook, Utah's 'Little Grand Canyon'. A thousand feet below, the San Rafael River counts another day in the eons... from above we count ourselves fortunate that such a place exists at all. 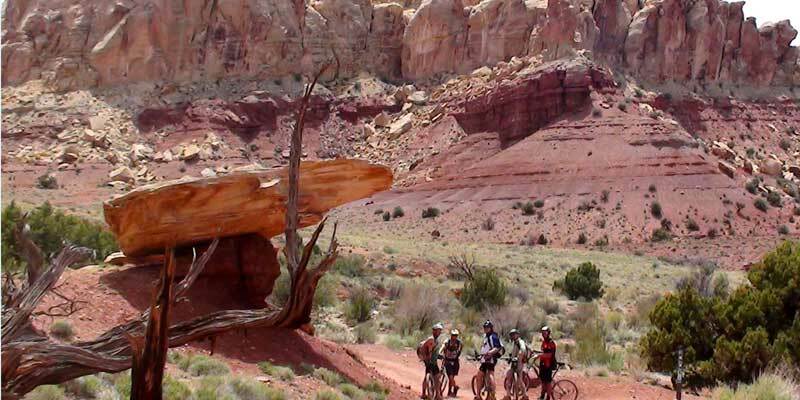 Biking in the San Rafael Swell will be a mountain bike trip to remember! With your own group with 8 or more and we can map out a ride designed for you! 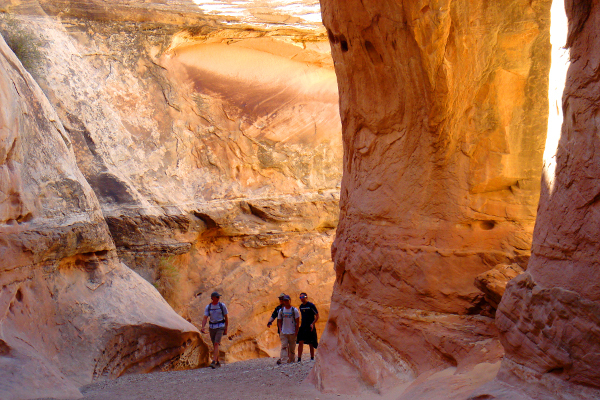 This trip winds through the San Rafael Swell, an undeveloped swath of public land. 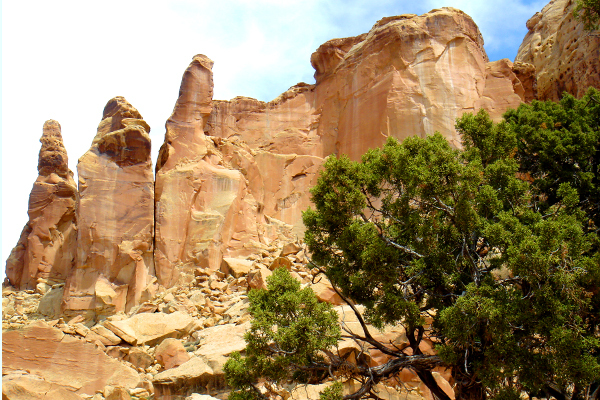 The San Rafael Swell is a major geologic uplift on top of the greater Colorado Plateau. When you take a layer cake of geology and then thrust it upwards nature has created some beautiful handiwork for your bike adventure. One of the advantages of a bike trip is the flexibility of the daily itinerary. It can vary widely from one trip to the next based on group desires, Mother Nature, and courtesy for other groups on the trail. The “Swell” is well known for its spectacular scenery and abundance of historical sites. Dispersed camping offers the ultimate opportunity for choose your own adventure exploration of the vast maze of old mining roads and slot canyons. Expect to ride 20-30 miles per day. 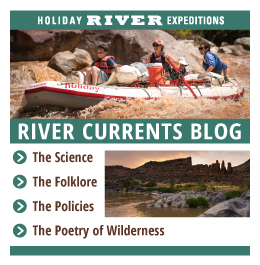 Day 1: Meet us at Holiday River and Bike Expeditions headquarters (7:00 a.m., Mountain Time), we will issue your bags. You can buy any last minute items from our accessories store at this time (see our packing checklist for a list of items you can find at our store). Before leaving our headquarters, each guest along with a Holiday guide will perform a pre-trip inspection of your bikes. If you are providing your own bike, please make sure that it is in good repair, we recommend a complete service by a professional shop prior to the trip. Guests with bikes’ that fail our inspection will be asked to rent a Holiday bike for $170.00/person. A one and one-half hour van ride takes us to Temple Mountain. The ride begins with a dirt trail that cuts through the San Rafael Reef, then parallels the uplifted rock faces. Stop and see a three thousand year old pictograph panel in the first mile. Test your skills with a quick sampling of the variety of roads, trails and terrain the trip offers. Choose a longer afternoon ride, or shorter ride and an optional hike. Spend the evening in Chute Canyon, just south of the Behind the Reef Road. Day 2: Continuing southwest, the rough 4wd road climbs and descends through Little Wild Horse and Bell Canyons. A turn to the north at Ding and Dang Dome climbs up onto the plateau. At 6500 ft., the isolated mountain ranges that dot the red rock canyon country of the Colorado plateau become visible. Take in expansive views of the virtually undeveloped 3100 square miles of San Rafael Swell while riding on an improved road for the last few miles before camp overlooking Tomsich Butte and the Muddy Creek Drainage. Day 3: Start the day with a nice descent to the Muddy Creek followed by a long, but gentle climb up Reds Canyon. Along the way, explore the Lucky Strike Mine, developed during the uranium boom of the 1950’s. Continue up the drainage after lunch to camp near Family Butte. Day 4: The morning ride heads north, through a maze of old ranching and mining roads in search of sites like Eagle Canyon arch, the Lone Warrior and Head of Sinbad rock art panels, and the Swasey cabin. Sites seen and miles ridden are dependent on group interests and abilities. 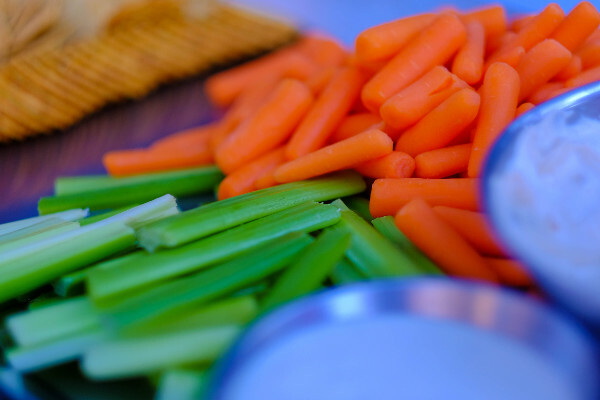 Have lunch along the trail or at the finishing point. Our van will meet us here for a two-hour drive back to Green River. Our expected time of arrival back at our headquarters is 4:00 to 5:00 p.m.
***The Bicycling: The San Rafael bike route is a technically challenging route. This undeveloped dirt road has steep downhills, loose rocks, sand, and ruts. 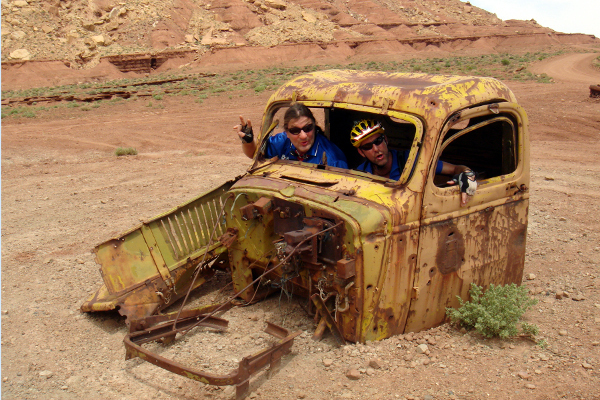 Riders who have no off-road bicycling experience, or who are not athletic will most likely find this trip too challenging. All riders should prepare for the trip by riding their bike on a regular basis prior to the trip. Dustin & Justin were great guides. They made the experience wonderful and accommodated different skill levels with patience and encouragement. The food was great quality and prepared well. I would definitely recommend them to anyone interested in a guided adventure trip. Guides are absolutely the BEST!!!! Yet again, Holiday facilitated a fantastic experience. 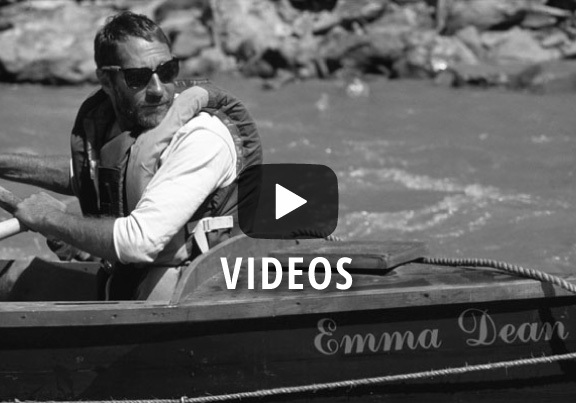 The beauty of the landscape is a given, but your amazing guides always give the trips that extra special something. Oh! And the food is great too! What a fantastic trip! Far exceeded my expectations, amazing scenery and wonderful guides, absolutely loved every moment!